Citrus fruit It's true that citric fruits such as oranges are excellent immune system fighters, thanks to the fact that they're rich in vitamin C. In fact, one orange alone — which contains 70 mg of vitamin C — is almost enough to satisfy the daily recommended amount for women (75 mg/day) and men (90 mg/day). 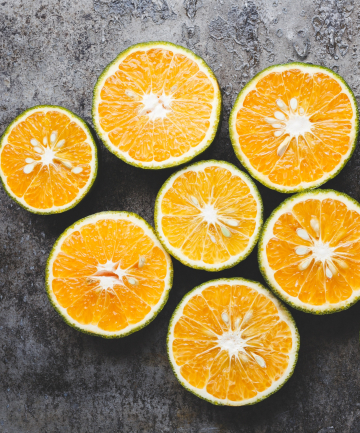 "While vitamin C won't prevent you from getting sick, studies have shown that getting enough vitamin C may shorten the length of a cold by a day. Incorporate a piece of citrus fruit into meals daily," says Frances Largeman-Roth, RDN, author of Eating in Color. "Easy to peel mandarin oranges make an easy snack for kids and grown ups."